Today I received a phone call from a second-grade teacher. She indicated that she had a behavior challenged child (frequent discipline issues) and was growing pretty frustrated with him. In response to Jeremy (not his real name), who was hitting kids, pushing kids, and causing chaos at recess, the school decided that they would offer structured activities for all second-grade kids, which limited them to a specific area of the playground. As you might expect, the parents were unhappy about this change. They felt that all children were being punished for one child’s behavior. As a principal, I dealt with similar situations often at the elementary school level. This is the advice that I gave to the teacher who called for suggestions. at school. Instead, put limitations on the child that is having the difficulty. Each day, limit the game or games a child can play who is having difficulty in that game. Typically, I find that while a child may have difficulty in one game they can play another game just fine, without incident. If a child has difficulty for a second time, I would say they have lost the privilege of playing basketball for a week. But all other games are open. If he is successful, it is helpful to compliment the child on his success as well. I once had a child that couldn’t play basketball, 4 square, long ball, or similar games. In other words, he was having difficulty on the blacktop, period. So I told him, you can only play on the grass for the next week. That seemed to hit home with the student. He seemed to melt into the ground in frustration. Sure, we had other incidents, but for the most part after that, the child managed his behavior in such a way that he could play on the asphalt once again. On occasion, he would play on the grass on his own. Seeing him self-regulate was an eye opener for me. He had learned a skill that he imposed on himself on occasion. It was amazing to see. For the severe behavioral issue, on one occasion in my 29 years as a teacher and principal, I had a child that we sent to recess for about a week completely by himself. Yes, it required an instructional aide to supervise him; but in the end, he hated playing alone. That put him back on track after five days. If you are having difficulties with one child, then one of above strategies should work. If you are having difficulties with a number of children while at recess, then I would invite you to look at Peaceful Playgrounds. 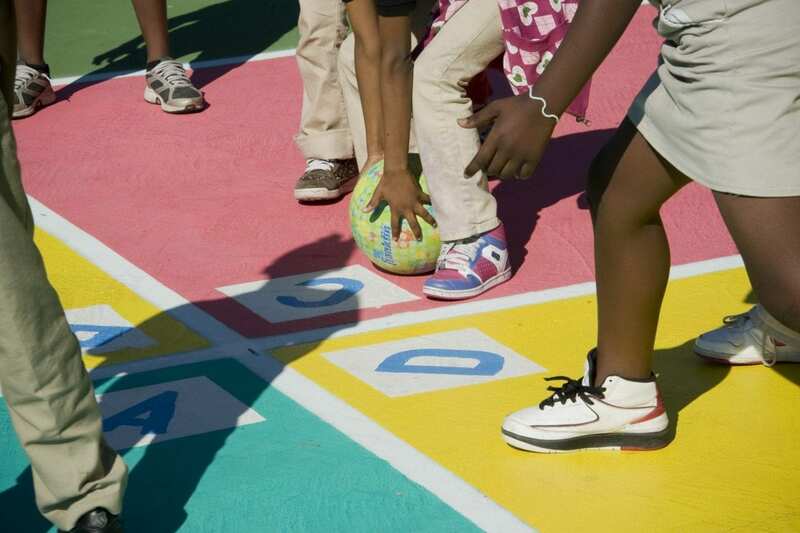 Put simply, one of the major playground issues is that children do not have enough to do on the playground. They lack equipment and a variety of games to keep them engaged in play. 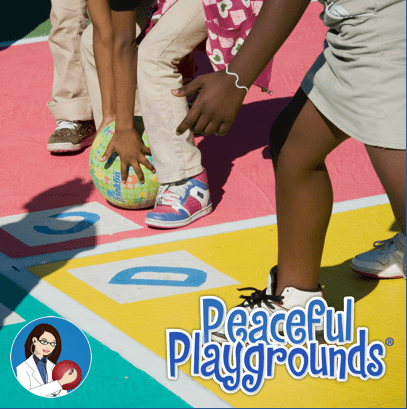 To learn more about how to have a Peaceful Playground, please sit in on one of our free online live webinars. We offer a free webinar each week.